What accounts for the spiritual power and vitality of Black preaching? What are the distinctive contributions of Black preaching to the life of The United Methodist Church? How must Black preaching evolve if it is to rise to the new challenges facing the UMC? Fifteen distinguished preachers from across the connection answer these and other questions in this important and illuminating volume. Rose Booker-Jones, Leo W. Curry, Safiyah Fosua, Telley Lynnette Gadson, Linda Lee, Pamela Lightsey, Okitakoyi Lundula, Tracy Smith Malone, Gregory Palmer, Vance P. Ross, Robert O. Simpson, Rodney T. Smothers. James E. Swanson, Sr., and Dorothy Watson-Tatem. 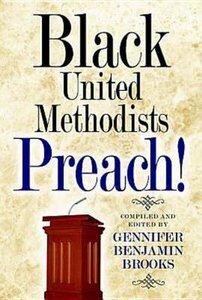 About "Black United Methodists Preach!"